After the announcement of the worldwide availability of Rental Rights Licenses for its software, Microsoft Philippines has launched yesterday the Microsoft I-Café Program. The company says “Microsoft understands the pains of Internet café owners, especially the challenge of making the business profitable in the long run.” and added “That is why Microsoft is offering Microsoft i-Café Program, a support and partnership deal that Internet cafés should not miss. Bukod sa (aside from) all-time low prices for genuine Windows 7 and Office 2007 licenses if you sign up within the promo period, you also get to enjoy various kinds of support, including bundled productivity and security tools.” The promo will run until May 26, 2010 only. 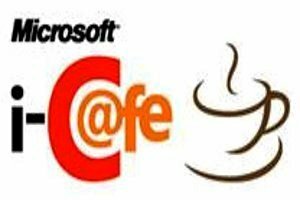 So what is Microsoft I-Café Program? While you can find Microsoft’s complete description of the program in their Frequently Asked Questions section, I want to depart a little from their from their salestalk and say how I see the initiative to be. I look at the program as primarily an enticement for i-café owners using pirated MS software to go legit. While Microsoft did not publicize the suggested retail prices (SRP), they say that Windows 7 and Office 2007 can be bought in the lowest price ever under the program and during the promo period. The freebies and other terms and conditions of the program are added inducements for i-cafe owners to join the program. In the past, Microsoft experimented on many anti-piracy programs in other countries but this is the first time that software giant decided to offer a program intended to reduce piracy in the Internet café industry in the Philippines. In Microsoft I-Café Program for the country, the company incorporated their anti-piracy experience in similarly-situated countries, more specifically Thailand, so they project a higher chance of success in the venture here. That remains to be seen and I will keep you updated on the progress of the initiative that Microsoft describes to be their response to the unmet Internet café needs of affordability and relevance by providing low investment costs and specific solutions that can start growing profitability, deliver the genuine customer experience and improve i-café’s competitive advantage. PS – Microsoft updated the referred site and it now show the promo price of Windows 7 at PhP2,299 and Office 2007 at PhP999 only. The prices of the Rental Rights licenses for the products are not included in the prices mentioned. But how does I-cafe stop people using pirated Windows platforms and other MS software? Presumably dodgy versions of the I-cafe will also be appearing soon?